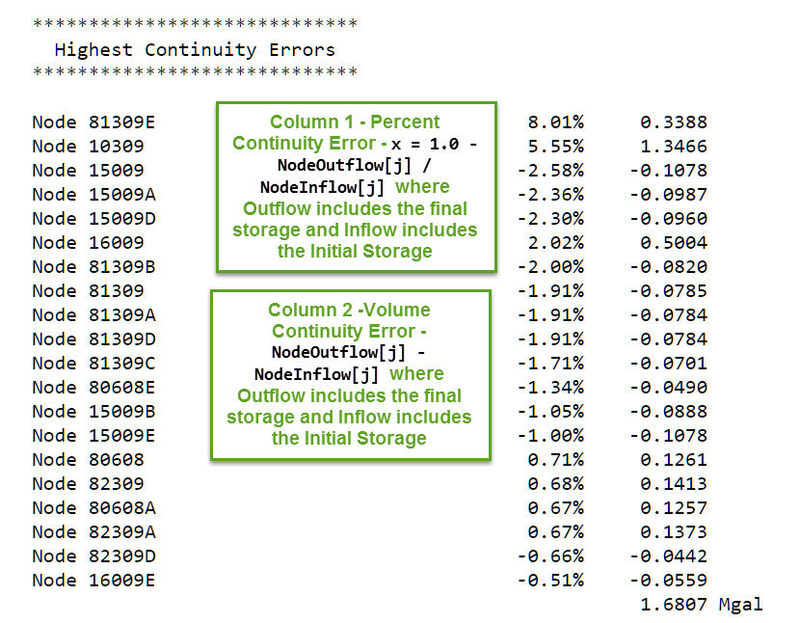 The same value of Node Outflow – Node Inflow is shown in the Junction Summary table under the column flow volume difference. 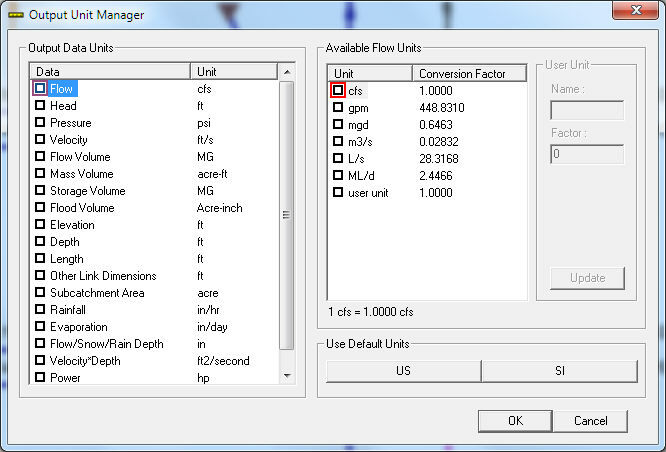 The units of flow volume difference will be the same as the RPT file if the units are changed in the Output Unit Manger. How to change the volume units in the Output Unit Manger. Change the volume to MG or ML (for SI units). 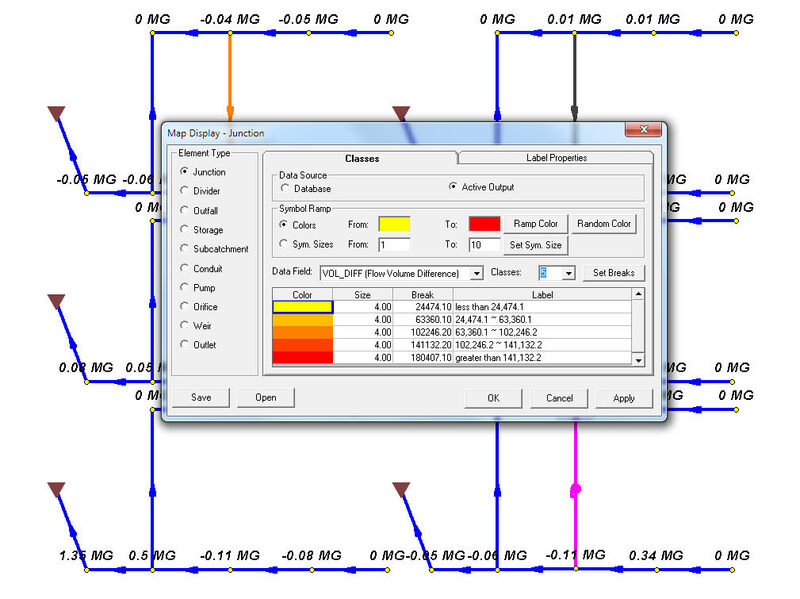 The flow volume difference can also be seen in Map Display by picking the Active Output variable Vol_Diff or Flow Volume Difference.